Why is risk assessment of chemicals necessary in your proposal? Any organization handling chemicals is obliged to perform risk assessment of chemicals due to the Japanese new regulation effective June 1, 2016, as follows. The organizations must perform the following. Investigate the severity and possibility of health problems caused by chemicals, and then evaluate the hazard risk level in handling chemicals. 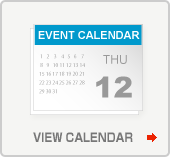 Consider the measures to control exposure to chemicals to reduce the hazard risk. Make effort to perform the measures efficiently. The Chemicals used in the proposed experiments at SPring-8/SACLA also must be assessed by the persons/organizations in charge of the experiments. JASRI requires project leaders to report the results of the risk assessment, and the reports will be referred in the safety reviews of proposed experiments. The legal chemicals should be assessed for their hazard risk. If you will use chemicals other than the listed chemicals, your effort to perform the risk assessment of them will be greatly appreciated. 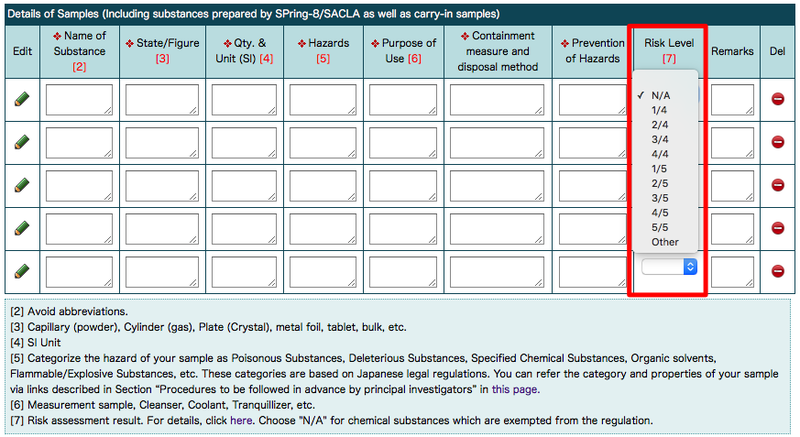 Please assess every legal chemical you will use in your proposals as well as carry-in samples, including the chemicals prepared by SPring-8/SACLA. If the chemical sample is encapsulated in a container (for example, a capillary, a capped bottle, and a zipper bag) and it is not opened during your stay at SPring-8/SACLA, the risk assessment for its hazard risk is not necessary because no one will be exposed to the chemical at SPring-8/SACLA. Please perform the risk assessment for each proposal. Please report the result of the risk assessment in your proposal form online (in the application form “Known Safety Hazards & Measures to Be Taken”). If your organization has not introduced the risk assessment of chemicals, we recommend you to perform Control Banding, a practical simple method to evaluate hazard risk and to control exposure to chemicals. 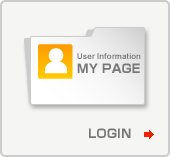 For example, “COSSH e-tool” is one of well known easy online tools. Control Banding can treat only solid or liquid substances. If you use gaseous substances, you can skip the risk assessment. When you have a question on performing the risk assessment, please contact the JASRI Safety Office (E-mail: safety@spring8.or.jp). Please report the assessment results on 4- or 5-level rating system, if possible. Large number means serious hazard. For example, “COSSH e-tool” results “control approach” for handling chemicals as follows. When there are no suitable choices in the pull-down menu, please choose “Other” and input the assessment result in the “Remarks” (e. g. the risk level is 3 of the 7 stage, “3/7”). Also in this case, large number should mean serious hazard. Choose “N/A” for chemical substances that are exempt from the regulation. Please report the following in the “Remarks” field. (1) The name of the risk assessment system you used. (2) The contents of the assessment results, that is, detailed explanation of the hazard risk and the proposed measures to reduce exposure, etc. When the risk level result means that you need some measures to reduce the risk for your health, please explain your measures in the field of “Prevention of Hazards”. When you will handle a very small quantity of the assessed chemical or handle it for a very short period, and thus you expect the actual risk level will be sufficiently small even in the case of a high hazard risk resulted, please explain your expectation in the “Remarks” field. If you use “COOSH e-tool”, we strongly recommend you to access well in advance of the submission deadline to avoid last-minute technical problems and possible network congestion caused by heavy online traffic. Please note that JASRI is not responsible for any problems or technical malfunction with this site. The results of the risk assessment provided in application forms do not influence review results directly. The JASRI Safety Office uses them only as reference when reviewing.